ProFishingEquipment.com would like to congratulate Jacob Wheeler on winning his first Forrest Wood Cup. He is the youngest angler to ever win this championship event. Wheeler used a variety of different baits to catch his 5 prize winning bass. The bass were caught by these baits: Rapala X-Rap Prop, Chatterbait-style bait and flipping a Trigger X Flippin’ Tube. 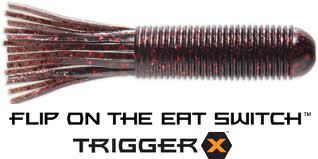 Here at ProFishingEquipment.com we have a large selection of rods and reels to use with Wheeler’s bass winning baits. Come visit and check out our winning reels and rods. 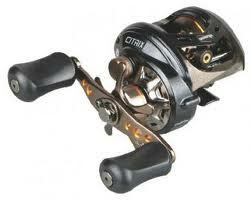 Let’s talk about the Okuma SR-200W Serrano baitcasting reel. 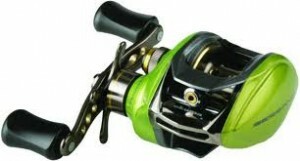 With this reel you’ll get a Micro-Click Drag Star that will help you keep a very accurate drag with different settings. On top of that with this particular reel it also comes with a right plate made out of aluminum that will keep your gears in perfect alignment so that way they won’t move around making catching that big fish easier than ever to catch. 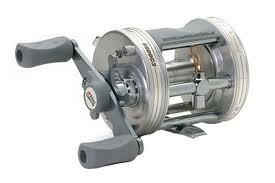 many fishermen don’t like having to deal with a big lunky and heavy spool, so with the SR-200W Serrano you’re in luck! This spool is a magnum light spool which means not only will it be very reliable but very light and easy to maneuver in those fights with big fish. The Shimano Callisto Baitcasting reel features two bearings, Super Stopper and Assist Stopper, and can be used with mono, Fluorocarbon and PowerPro fish line. It has a graphite frame and sideplates making the unit incredibly lightweight. 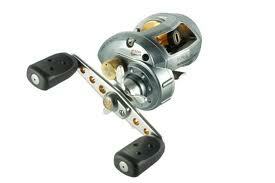 Weighing in and only six point eight pounds this reel is perfect for those who fish in diverse conditions. Released in July of two thousand eleven, this reel is already selling faster than its competitors having been on the market for less than two full months. The streamlined design will have sportsmen reelling in trophy catches in no time at all. 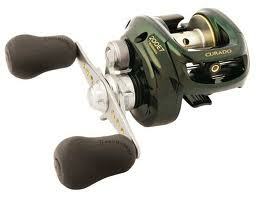 This Shimano Curado E reel won Best of Show and Best Fresh Water Reel at the 2008 ICAST New Product Showcase Awards. 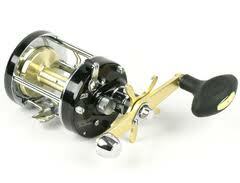 This high performance reel allows you to cast exceptionally smoothly and effortlessly. Its casting performance is second to none. 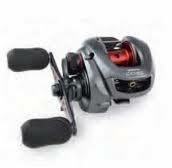 This reel is perfect for beginners as it is very forgiving of mistakes and very easy to get comfortable with. The hand grips feel comfortable in the hands and allow you to fish for hours on end with out growing tired. Featuring an aluminum frame, recessed reel foot, aluminum magnumlite spool, and high-efficiency gearing, this reel has all the features that a professional fisherman needs. The Abu Garcia Ambassadeur 6500 C3 is widely known for its strength and endurance; they’re what make it a legend. Awarded ‘Everlasting Best-selling Baitcasting Reel’ for its traditional round design, Ambassadeur has always kept its persistence to its root; unlike ordinary reels need to evolve overtime before they become much lighter. Ambassadeur is customary made with one stainless-steel roller bearing and two stainless-steel bearings in which they supply trouble-free instant anti-reverse that functions remarkably on huge fish. This combination has pleasingly made anglers courageous that it won’t let them down, particularly when they embark for a day on the water. Additionally, Ambassadeur is completed with a six pin centrifugal brake system, which diminishes backlash, and Carbon Matrix Drag system, which provides constant drag pressure. The Abu Garcia Revo Toro 50 is specially designed for freshwater and saltwater fish. 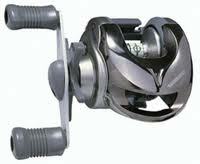 Its maximum capacity spool allows anglers to bring in even the enormous fish up. Revo Toro 50 is also excellently fabricated with Anti Corrosion bearings, the anti rust aluminum X-Craftic, the 24 pounds of pressure Carbon Matrix Drag system, and brass Duragears; these classy features are those that make Revo Toro 50 the best fishing investment. The Abu Garcia CS Pro Rocket is built for sensational long castibility; thanks to the Carbon Matrix Drag system, which is the most durable and strongest drag system in the market now. Furthermore, its extended, silky smooth casts have made CS Pro Rocket an ideal reel to battle with gigantic, thrashing, mad fish.